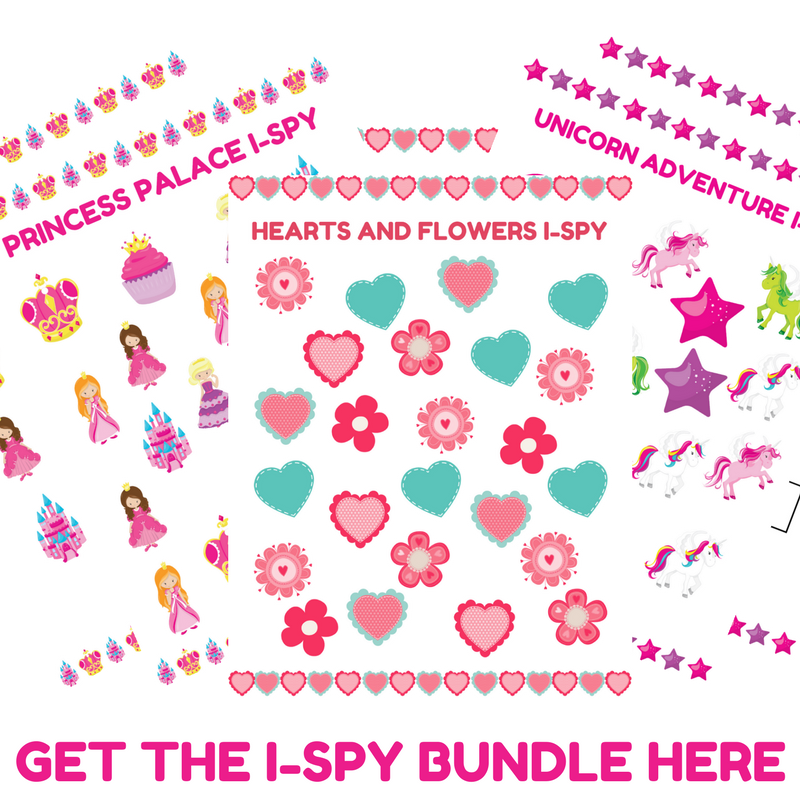 Check out this ADORABLE bundle of I-Spy printables! Unicorns, Princesses, Hearts and Flowers? YES! This I-Spy Activity Bundle is SO fun!You will receive a digital PDF file with 3 I-Spy Activities. When you download the file you can print them out and use them with your kids! You can also laminate your copy so that you can use these I-spy sheets again and again.